History’s Corner – MAR 2019 | F.F.A.M. In 1872, Harris Joplin, a minister, settled in the area now known as Joplin, Missouri. He began to spread the work of the Lord in the area and often held church services in his home. A settlement began to develop and the town was named after Minister Joplin. In the late 1860’s and early 1870’s, lead and zinc were discovered in the area. Joplin was thrust into a time of quick development to support the mining industry that came with the discovery. As the town of Joplin grew dramatically in a short amount of time, so did the normal concerns about fires. In 1872, city officials passed an ordinance requiring all places of business to keep a water barrel and buckets available to be used in case of fire. 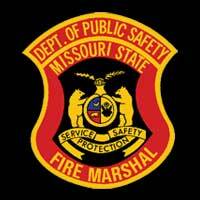 By 1882, a formal fire department was formed. The action of the city officials in 1882 truly reflects the concerns of the citizens and leaders about the dangers of fire in this rapidly growing community. Four fire companies were formed, one in each of the four wards of the city. Clark Craycraft was appointed the first fire chief of Joplin. As was the norm for towns and cities during that time, most of the fire control equipment was stored in some type of barn or shed, usually hand or horse drawn to the fire location. 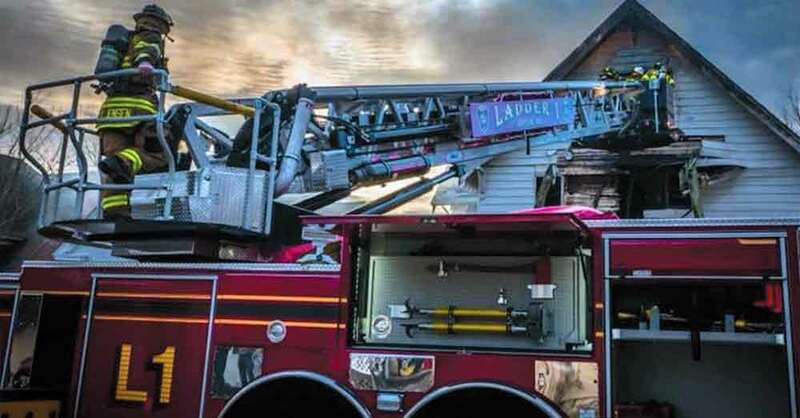 The city council also recognized the need for speed and efficiency in their newly formed organization by providing an incentive for arrival at the scene. The first company to “get water” to the scene of the fire received a ten dollar bonus. Each member received a buck and a half for responding. With transportation improving and businesses thriving, the population of Joplin grew to 26,000 by the turn of the century. Many photos on record at the Joplin Globe reflect massive high-rise office buildings along Main Street. Most of the large commercial facilities throughout the community related to the mining industry. Historical records reflect that most of Joplin’s rapid growth occurred between 1890 and 1910. 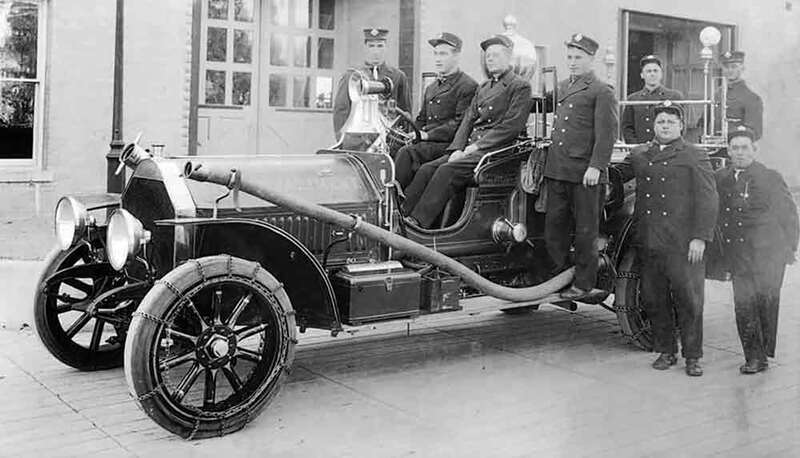 The turn of the century brought about massive changes in the way fire departments of the time did business. The original volunteer fire department was formed in 1882 and worked well for eleven years but was replaced by a full time staff in 1893. Chief Haughton led the department at that time. The story of how the very first motorized equipment came to be used in Joplin is a colorful one. There have been several different sources used to identify the individual who made it happen and how it took place. 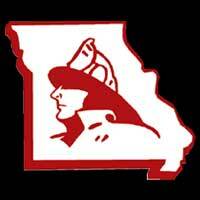 The first source I found was an article in the Joplin Globe by Bill Caldwell in June of 2017 entitled, A.C. Webb – race car driver, inventor and entrepreneur – motorized Joplin Fire Department. The article goes into great detail about Webb’s exploits as a race car driver, including his victory at the 1904 Worlds Fair race in St. Louis. Webb owned an automobile repair shop at Second Street and Joplin Avenue near the Joplin City Hall, which housed the fire and police departments. In June 1907, the Globe reported Webb had, “quietly negotiated with the members of the city council to install an automobile in the central fire station.” Webb’s “deal” included a three-month trial period and a twenty-four-seven driver for the unit at no cost to the city. The unit was built on a Buick auto and included a thirty-gallon chemical tank, hose reel, and 2 three-gallon hand extinguishers. The second source provided a slightly different and more colorful version of the story. That author, Anthony Buono, did a comprehensive article about the development of the Webb Motorized Pumping Engines in the January/February issue of Vintage Fire Truck and Equipment magazine. Here is how author Buono’s version unfolds in the City of Joplin around the turn of the century. 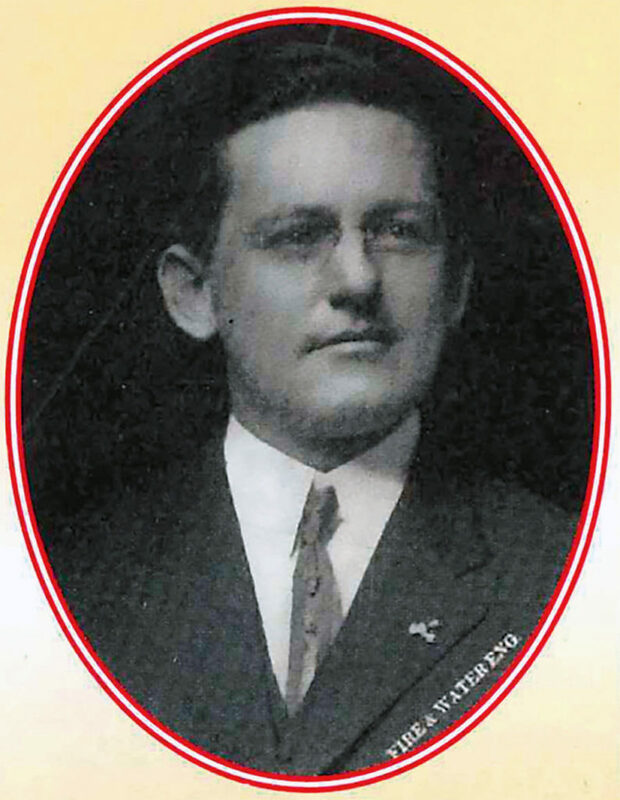 This portrait of Albert C. Webb appeared in the September 17, 1913 issue of Fire and Water Engineering. Webb appears on a fire program in the spring of 1913 at the New Jersey Fire Chief’s Association conference. It was there that he told his own story how his first piece of firefighting equipment came about. Since his auto repair garage was close to the fire station, he befriended the fire chief and other members of the department. One day the fire chief mentioned his horse was lame and had no way to respond to calls. Webb offered to drive the chief to alarms in his car. After responding to several different calls, the chief noticed they arrived way before the horse drawn apparatus. The chief proposed an idea and offered some surplus equipment to Webb so he could mount a chemical tank and hose reel on a car. Webb eagerly accepted the challenge and using a 60-gallon chemical tank, a 200-foot hose reel, and a Buick Model F passenger car, “the goat” was born. 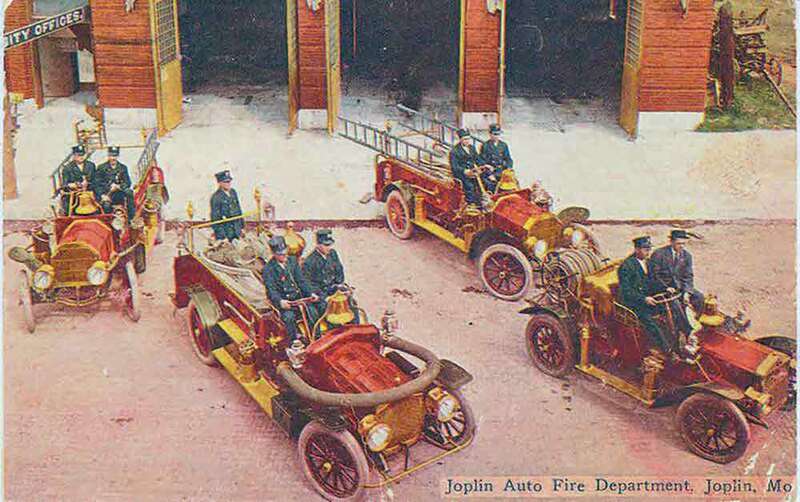 Now you have heard two different versions of how the first Joplin motorized fire apparatus came into being. I believe that both versions could be true because having appeared before many fire conferences in my day, I think the second version is much better for use at a large public gathering. Webb’s adventure in 1906, building a “fire car” set him on a wild path that lead to the formation of his new company known as Webb Motor Fire Apparatus Company. In 1907, Webb turned his attention to designing and building motor pumping engines. His first design was a demo unit built on a much more powerful vehicle than the little Buick. After touring a number of auto plants, he settled on the Thomas Flyer automobile be-cause of its powerful 6 –cylinder engine. Webb eventually let Joplin FD test the pumper be-fore he drove the unit to Kansas City and several others cities. When demonstrating units for city and fire officials, Webb always made sure to include a demonstration of speed. Given his racing past and knack for speed, demonstrations would often include a trip through the city at breakneck speeds sometimes topics out at 60 miles-per-hour. The company experienced tremendous growth and Webb’s products were accepted by fire departments all over the United States and Canada. 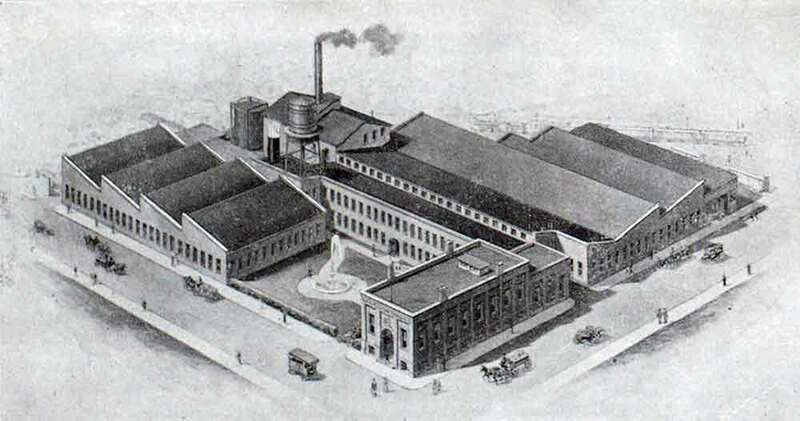 In late 1908, the Webb Company moved into a new factory in Vincennes, Indiana. It was the first factory built in this country meant exclusively for the production of fire apparatus. Webb’s aggressive marketing was apparent. By 1910, he had more pumping engines in service than all other manufacturers combined. Webb’s plant was a total of sixty thousand square feet. The facility included a foundry, its own power plant, a pattern shop and body shop. It was also home to 30,000 square feet of apparatus building area and a two-story office building. Production capability was completely sold out for all of 1908, 1909, and well sold into 1910. Pictured above is the Webb Fire Apparatus delivery to Dallas, Texas. Note the tire chains on all wheels. In April 1912, Al Webb abruptly resigned as president of Webb Fire Apparatus. The circumstances for that rapid change are lost in history. Three months later, Jack Mack, one of the founders of Mack Trucks secured controlling interest in the company and Al Webb was back in as president. 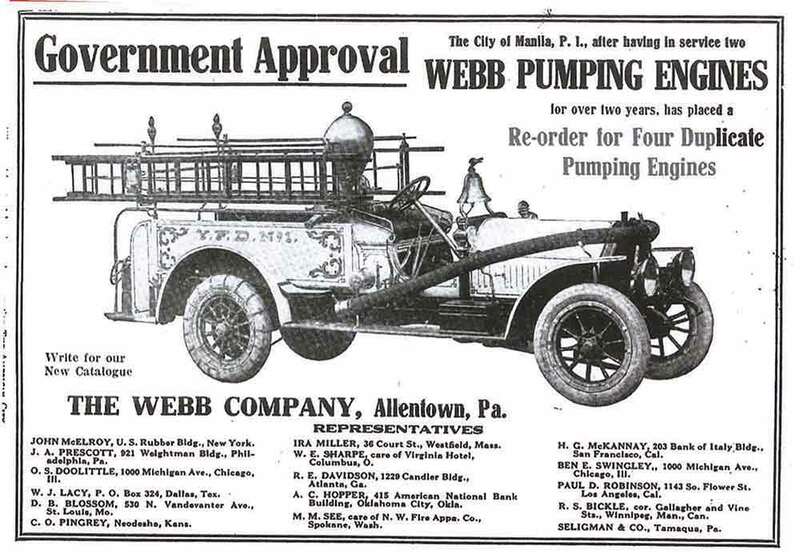 The first half of 1913 saw nearly 400 thousand dollars in orders but in August of 1913, Webb departed again with controlling interest in another apparatus firm. He took most of the mechanics, engineers, and designs with him. By the end of 1913, Webb Company ceased production and closed for good. 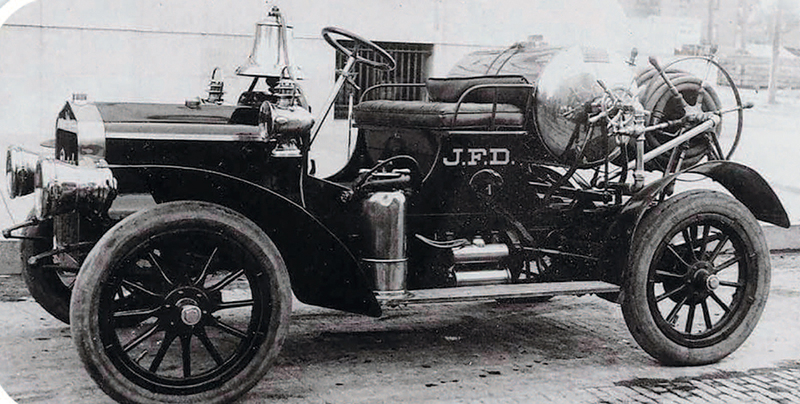 If “the goat” stayed in service in Joplin until 1914, it lasted a year longer than the Webb Fire Truck Company. Pictured above is the Webb Motor Fire Apparatus Plant in Vincennes, Indiana. It appeared in an article in Fire Engineering Magazine on August 11th 1909. I must admit, there is a large gap in time from the early 1900’s to the present Joplin. Without a doubt, this city has become the crown jewel of the several state area, with a population of over fifty thousand. • 1926 – The impact of the development of “the Mother Road”, route 66 and later the interstate highway system and I-44. • 1933 – Bonny and Clyde and their visits to the Joplin area. • 1940’s – The effect of Camp Crowder and the war effort. • 1943 – The flood that proved what ten inches of rain can do in 36 hours. • 1971 – Tornado and the most devastating day of Joplin’s history – May 22, 2011. Every day of this cities history, the members of the fire department stood ready to handle any emergency challenge that faced the thousands of people who live and travel through the Joplin area. 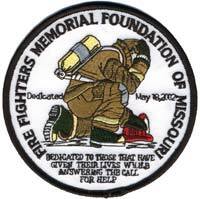 The most current tribute the to Joplin Fire Department (JFD) is its contribution to regional fire and EMS training and the effect it has had on the emergency services in the area. 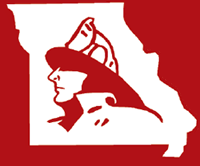 In November of 2007, the Joplin Fire Department marked its 125th anniversary. From an article in the Joplin Globe by Wally Kennedy, comes a great quote and perfect conclusion to this article. The citizens of Joplin continue to be proud of the men and women who protect them daily. 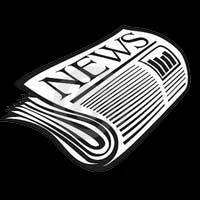 • The Joplin Globe has the most awesome archives of things that have taken place in Joplin and we appreciate the opportunity to review some of it in this article. • The article in the Vintage Fire Truck magazine by Anthony Buono about Al Webb was a great asset in telling that story, which started in Joplin in 1878. • Thanks again to all the folks at the Joplin Fire Department. Over a century of dedicated members doing what it takes to take care of business!